When should I use an immigration specialist? It’s really up to you whether you feel confident enough to prepare an application to the UK Border Agency yourself. There are many pitfalls. The forms themselves are not particularly complex, but you need to make sure you’re using the right one; that you pay the correct fee, and there’s lots of very specific documents to provide. It may only be necessary to use a specialist advisor if you are appealing a visa or extension refusal and need a representative at an immigration tribunal. It could cost you £800 or more just for a solicitor or regulated advisor to make an application for you. The cost of engaging a solicitor to represent you at the tribunal is significantly more. If you want help with an application form, then the solicitor should conduct an initial consultation. Many solicitors offer free consultations and there should be no obligation to take on their services. After the consultation you should receive a client care letter which will provide you with a summary, detailed advice on your options and what happens next. If you have been asked to provide any further documentation, this should be listed along with the date agreed, details of the fee, contact information for your advisor and details of the organisation’s complaints policy. Your solicitor should keep you informed and updated throughout the process and should notify you within three working days of any significant update. How do I find a good advisor? 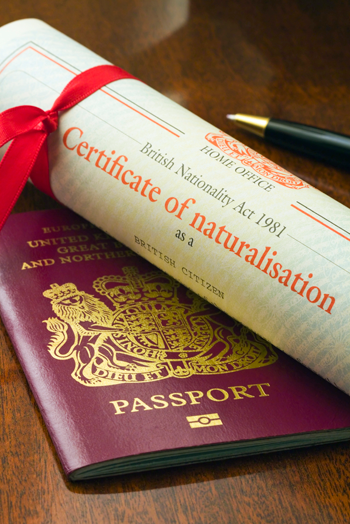 Ensure that the solicitor is regulated by the Office of the Immigration Services Commissioner (OISC) – however, unfortunately this does not always mean that you will get a good service. The AFF F&C Specialist has come across a number of solicitors who have given the wrong information to spouses of soldiers because they are not aware of the unique immigration rules for the military. Check out any potential advisor by conducting an online search to find independent reviews or ask around to get word of mouth recommendations. Will using an advisor speed up the process? No. Doing it yourself can sometimes be quicker. What can I do if I am unhappy with the service provided? Follow the complaints procedure listed in the client care letter. If the issue is not resolved then you should contact the OISC, www.oisc.homeoffice.gov.uk, to make a complaint, although they cannot assist in getting a refund or compensation. You can also make a complaint to the Legal Ombudsman, www.legalombudsman.org.uk.